I like Rye beers. When used appropriately, it can add significant body and complexity that can really help accentuate a good beer. But I must admit, I have sampled a few disappointing Rye efforts. Since Bear Republic makes one of my favorite beers – the Racer 5 IPA, when I saw that they had made an IPA with Rye I figured (hoped) it would be good. The citrus front of the IPA style seems a perfect fit with Rye, and Bear Republic is a perfect fit for IPA. So this beer should, well, fit. Ringing in at 8.0%, this beer’s alcohol content is really in the IIPA category, but I’m not complaining. Whatever you want to call it, this is one fine brew. Like their Racer 5, this beer has a very complex and hoppy nose with abundant pine and citrus. 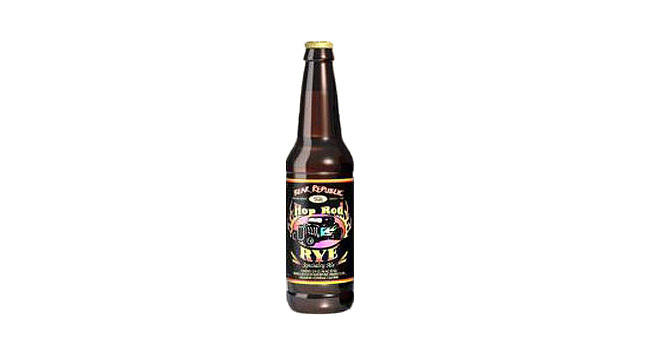 The Rye adds to the nose significantly, providing an earthy and bread-like backdrop to the experience. I could actually sit around and just smell this one for a while. But, since other bar patrons might find that odd, it’s time to pour. This one is much more amber and quite a bit darker than you would expect an IPA or IIPA to be. There are some orange hues, too. It is a clear beer and pours out with a nice head that leaves a lacing on the glass. The flavor is full-bodied with abundant malt for the style and even a hint of caramel. The flavor ends quickly as ample bitterness comes through, lingering for a few seconds along with the Rye. This beer doesn’t make Rye work as an ingredient by hiding it behind other flavors; instead it creates an experience surrounding the Rye. The choice of hops, the malt bill, the carbonation level, etc. seems to be designed around the ingredient and the name. This is a great brew and it reminded me once again that when I see an offering from this California brewing company I should probably pick it up. Cheers!